Registration: 11:00 a.m. | Start: 12:00 p.m.
Be a superhero for local children at Make-A-Wish® Mid-Atlantic’s 2019 Walk For Wishes® Washington, DC on Saturday, May 4th on the National Mall. Join this community-wide celebration and use your superpowers to grant the wishes of local kids battling life-threatening medical conditions. 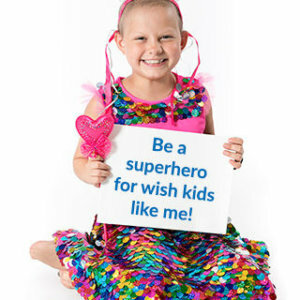 Our Walk For Wishes superheroes unite to raise awareness and funds to make wishes come true. In addition to the family-friendly walk itself, attendees will enjoy music, carnival games, delicious food, face painting and the chance to hear firsthand from wish kids about the power of a wish experience. Learn more and register today by visiting WalkForWishesDC.org. This year’s Walk For Wishes® Baltimore will be held one week earlier on Saturday, April 27th at West Shore Park at the Inner Harbor. Make-A-Wish® Mid-Atlantic is involved with events and promotions throughout the year. Check out other events, donate, and find ways you can grant wishes for children with critical illnesses in our area at midatlantic.wish.org.